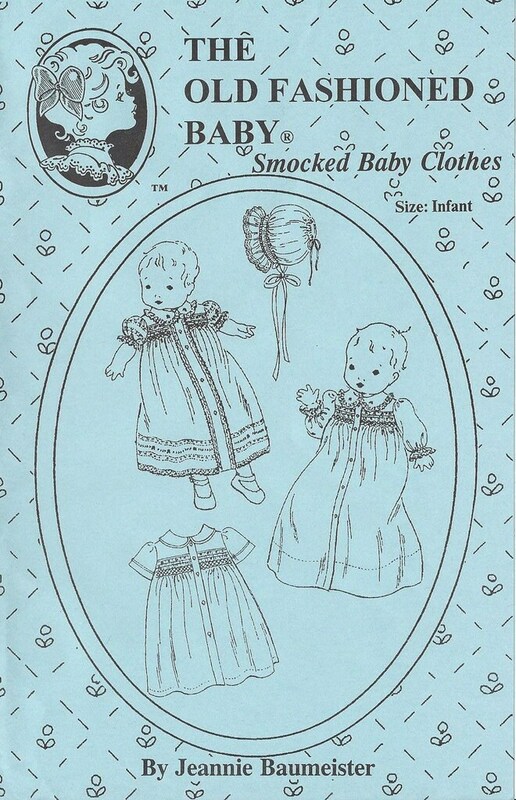 The Smocked Baby Clothes Pattern will delight you and baby too. The smocked daygown is a long enough to keep babies feet warm and has long smocked sleeves. The smocked Day Dress has lace insertion in the sleeves and hem, lace edging adorns the front placket, sleeves and hem. The Boy Nightshirt has piped collar and straight sleeves with piped cuffs along with a simplified smocking design. The baby bonnet is also smocked and comes in 'Take me home size' and infant. Size: Infant to 16 lbs.